During March the Church will undergo the start of the next phase of restoration. The first step is to seal the main organ airtight so that no dust or debris can get into the pipes or mechanism. 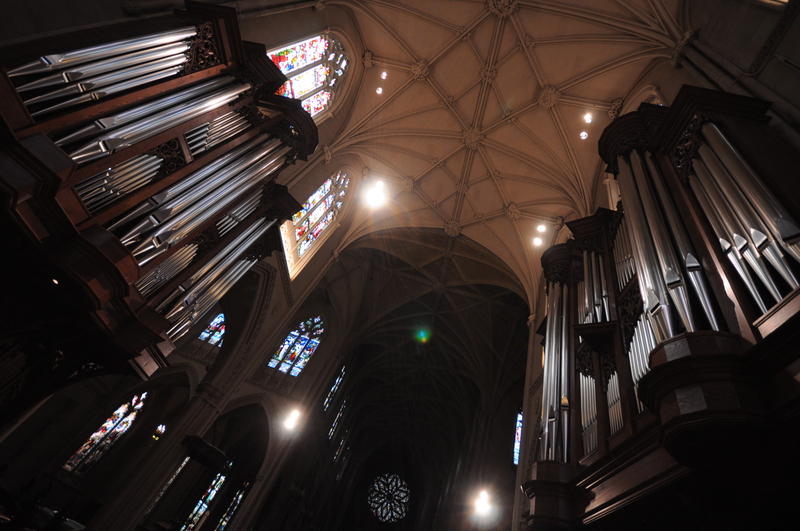 Beginning Monday 6 March through the remainder of the month the organ will be shut down. 1 March Ash Wednesday, NO Bach at Noon due to the Ash Wednesday Liturgy that takes place at Noon. 4 March Saturday, NO Organ Meditation today due to the celebration of a wedding. 6 March Monday, the main organ is shut down. 7 March Tuesday and until the main organ is singing again. Bach at Noon moves into the Chantry Chapel for the month. The entrance is just south of the main Church on Broadway, follow the signs. 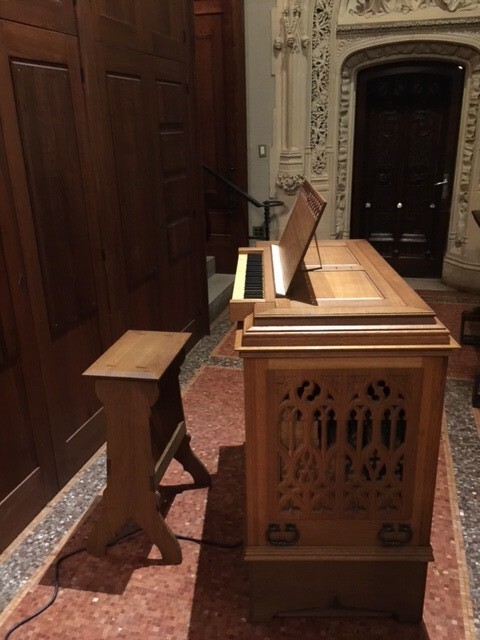 The meditations will be played on Opus 61, The Taylor and Boody Chamber Organ and will feature music for keyboard without pedals. 11 March Saturday and until the main organ is singing again. 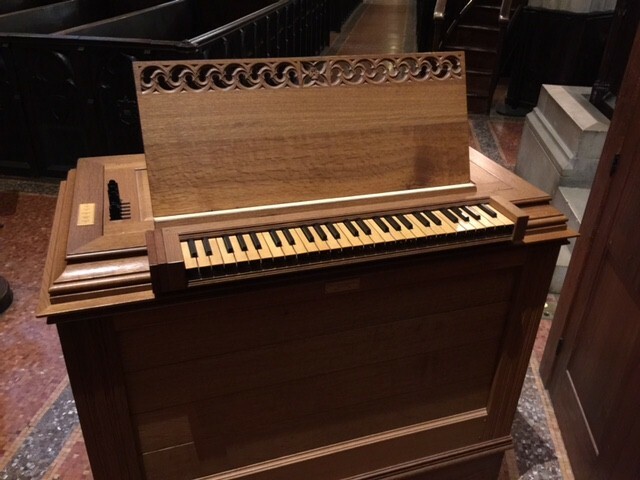 The Weekend Organ Meditations will take place subject to special liturgical offerings in the church, played on Opus 61, The Taylor and Boody Chamber Organ featuring music for keyboard without pedals. This stage of restoration will focus on the high ceilings of the church. You can see the finished result in the high ceilings over the choir and altar area and the south transept. The remainder of the high ceilings are what will be addressed during this time. In March, forms will be fitted to the underside of the plaster – the part we see. Once completed, the big work will take place in the attic strengthening and re attaching the plaster to the wooden slats and supports. 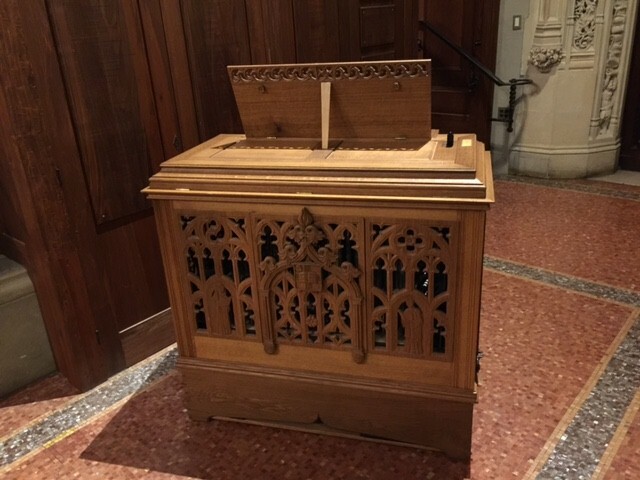 In addition to being needed structurally, it should also greatly enhance the acoustic of the church and support more beautifully the music we offer. 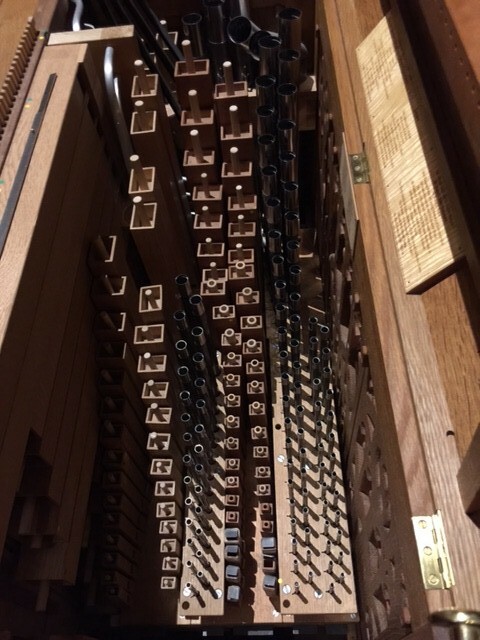 We hope to have the main organ unpacked and ready to sing again by the end of the first week of April. This all depends on the timeline for this stage of restoration and the air quality. Thank you for your patience and support.